I apologize for disappearing for so long. My absence was due to many reasons including going through some issues with my son, getting my other hip replaced (I’m totally going for Bionic Woman status now), and then nearly dying because my migraine medicines permanently damaged my heart (I’m now in congestive heart failure at the ripe old age of 46). I’ll talk about the nearly dying part in a different post because this post has book news! I have a new novella out from Carina Press and I’m very excited about it! 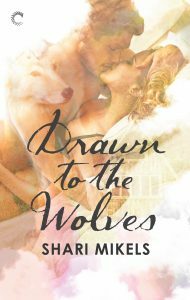 It’s my first paranormal romance book and I got to write about wolf shifters. I can never decide which is my favorite–vampires or wolf shifters, so tell me in the comments which are your favorite. 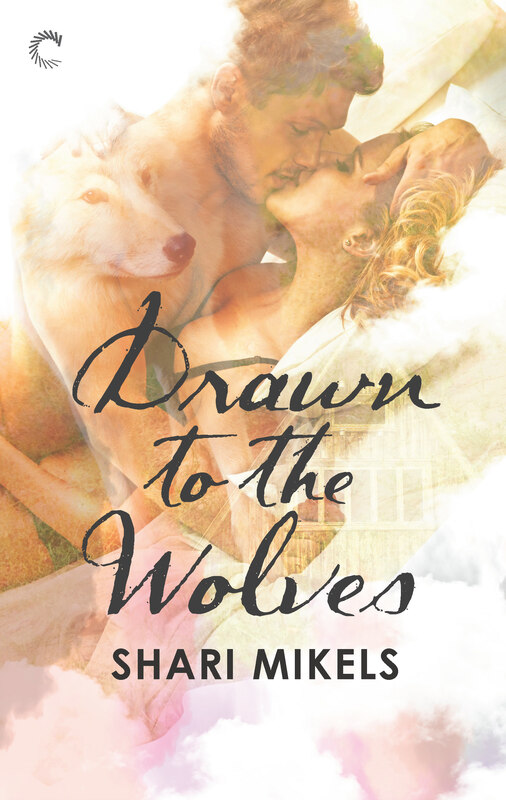 But in Drawn to the Wolves, we’re all about the wolfies. I originally came up with the idea during a family trip with my in-laws in the Blue Ridge Mountains of Tennessee several years ago. At the time, I took notes on my ideas, but I was trying to focus on writing more contemporary romances back then, so I set aside my notes. However, the idea refused to leave me and got in the way of me trying to write anything else. I nearly died last year due to the heart failure thing, and one of the most horrific (for me) things I had to go through surrounding this whole situation was a cardiac MRI. I’m claustrophobic anyway so that whole experience was a nightmare. Back in 1992, I had to have TMJ surgery and MRIs were just beginning to be used. I stayed in the first one they put me in for forty-five minutes, but it turned out it was broken. When I came out of the second machine, forty-five more minutes later, I was claustrophobic. I could no longer get on packed elevators, etc. I still can’t. Last August, I had to be given a ton of valium just to get to Duke University, where my heart docs (I actually have three) wanted me to have the MRI done. They had to dose me up even more just to get me in the machine. The problem was that I had to somehow stay awake for an hour in that machine–while on all those drugs–because the technician had me breathe in, hold my breath for several seconds, then breathe out again. Over and over and over. The next day, I realized I was in a deep depression over not only what I’d gone through with the cardiac MRI, but the whole heart situation. To get out of that depression, I wrote the black moment for Drawn to the Wolves. I poured everything I was feeling at the time into that scene. My husband read it and encouraged me to write the rest of the story. He told me he could feel the characters’ pain even though he’d not been introduced to them yet.